When our home's previous owner agreed to paint all of the walls before we moved in, I was ecstatic. I picked a neutral palette to leave room for varying decor schemes. 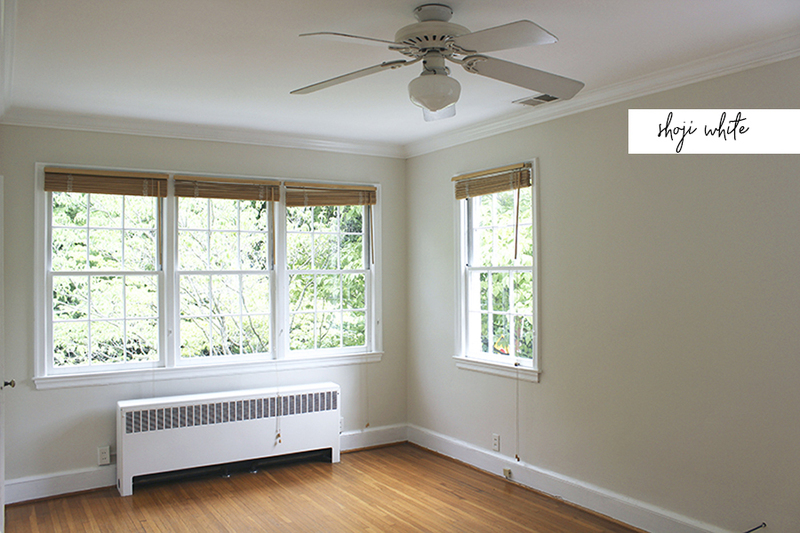 Picking the paint for your home can be daunting task. There are so many colors out there and factors to think about - the finish, room's lighting, trim color and the furnishing design. I painted samples on the walls in every room to check the lighting. I am really happy with the colors I chose. At the top of my list for neutral paints is Sherwin Williams, Shoji White. It's a warm white with some beige undertones. This color really works in a range of lighting from more dimly lit to bright. My next favorite neutral was Sherwin William's Popular Gray. 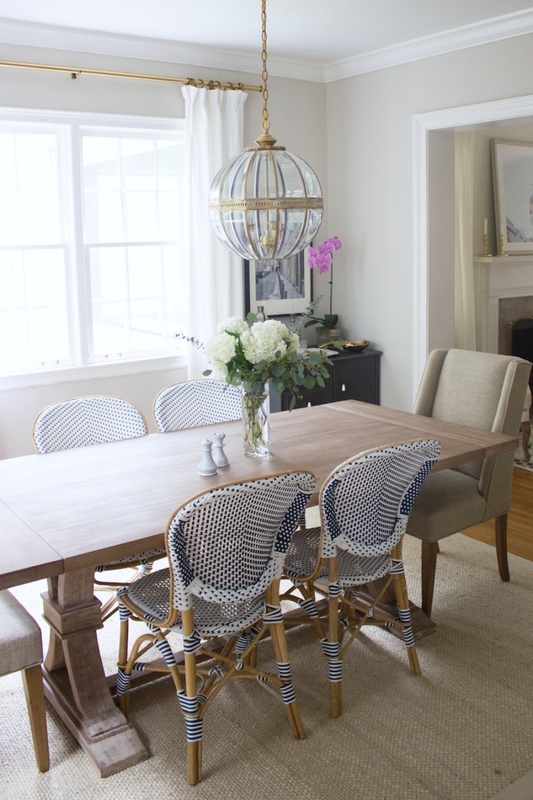 I picked Popular Gray because it paired really well with our warm floors and could stand up to the bright light in the rooms we painted it in. 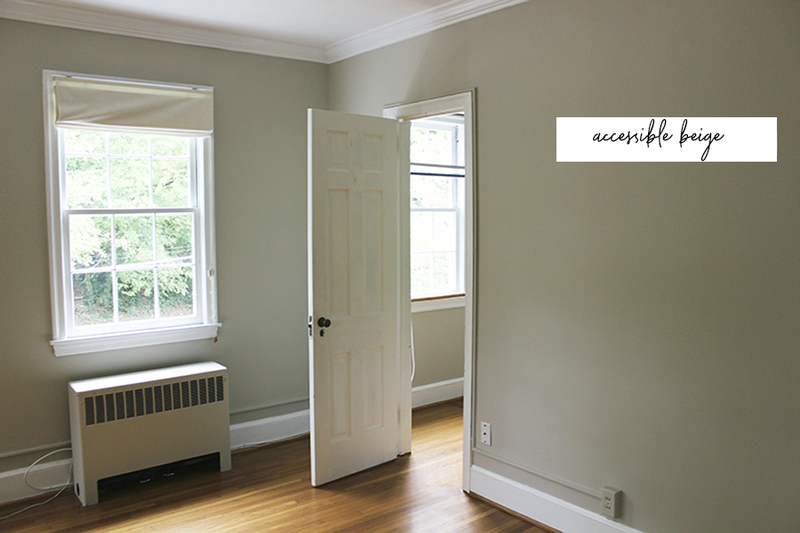 I’m sharing photos of a couple of rooms that have the same paint colors, but different lights so you can see. For more tips on picking paints for your home check out 4 easy steps on how to pick the perfect paint color.